Dr. Bill Dorfman graduated with the "UCLA Outstanding Senior Award" in 1980. He received his DDS in 1983 from the University of the Pacific Dental School. He completed a residency in Lausanne, Switzerland. In 1985, he established a private practice in aesthetic and general dentistry. 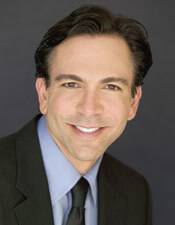 In 1989 he formed Discus Dental, Inc., the world's leading manufacturer and distributor of tooth-whitening, oral hygiene and aesthetic dental products wherein he helped develop such ground-breaking professional take-home teeth whitening products as Nite White and Day White and more recently Brite Smile and Zoom, revolutionary in-office whitening systems. Dr. Dorfman is the featured dentist on ABC's hit Extreme Makeover and is the author of the NY Times Best Seller Billion Dollar Smile.